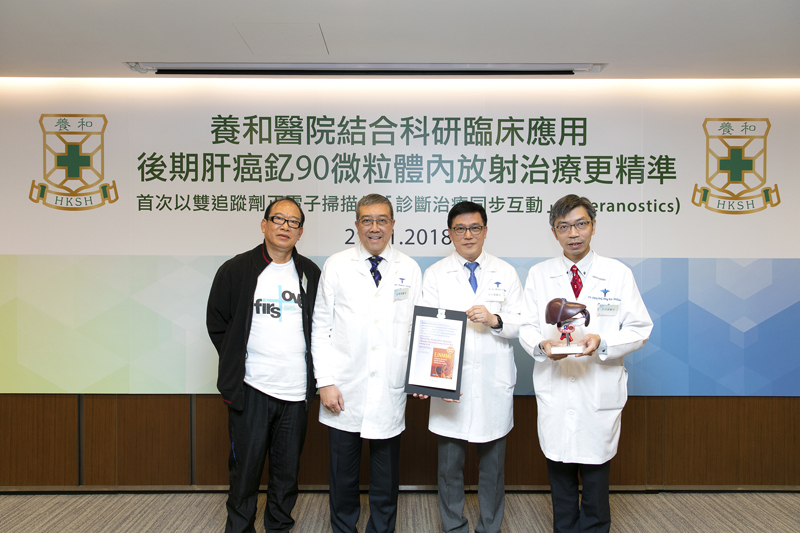 (3 December 2018 - Hong Kong) Hong Kong Sanatorium & Hospital (HKSH) has been committed to promoting medical research to optimise clinical applications for the benefit of patients. Recently, Department of Nuclear Medicine and PET and Comprehensive Oncology Centre of Hong Kong Sanatorium & Hospital joined efforts to have achieved fruitful results in the Selective Internal Radiation Therapy (SIRT) using Yittrium-90 (90Y) isotopes for Late-Stage Liver Cancer treatment. The research paper was recently published in the November issue of the European Journal of Nuclear Medicine and Molecular Imaging.